If you need further proof that the Gold Coast is going plant-based, then new Burleigh Heads eatery BKA Vegan is it. The restaurant and bar, which officially opens its doors tomorrow, is serving up refined vegan fare and it’s absolutely delicious. The eatery is headed up by general manager Kylie Woods and head chef Ryan Jacobs, who gained huge popularity thanks to their food stall at the Currumbin Sanctuary Markets. Their fan base includes both vegan and carnivores alike, so no matter your dietary persuasion you’re seriously going to love their food. Next, try the mixed mushrooms on cauliflower puree with kale and mushroom ju. And you can’t go past the caprese salad with their house-made vegan ‘cheese’. You wouldn’t know it was dairy free unless we told you. But it’s not just about dinner here, the restaurant is also open for brunch and we hear it could potentially get boozy in the future. Except dishes like French toast with coconut yoghurt, burnt banana and maple syrup. 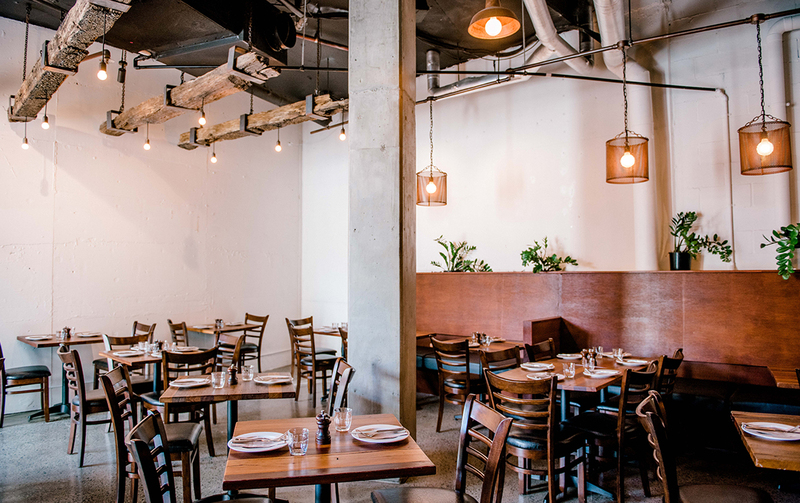 The venue space is modern industrial with polished concrete floors, timber sleepers suspended from high ceilings, pendant lighting and an exposed brick feature wall. In short, it’s the kind of space that is perfect for a long, lazy lunch or dinner with your crew. There’s also ample outdoor seating so you can breathe in the sea air while sipping on their coconut margarita. BKA Vegan is open Wednesday through Sunday from 10am. Looking for more new openings to try? Have to checked out Frida Sol or the King Crab Co. yet?